- Merrily Murray-Walsh, Mary T. & Lizzy K.
This year's Helen Hayes Awards will take place on April 21 at the National Building Museum. The renovation will include revamps of all the meeting spaces, the rooftop pool area, the lobby and associated food and beverage offerings. The room number is expected to stay relatively the same at 372, with the possibility that it will go down slightly if the upgrade of fitness facilities or the addition of a concierge lounge requires some of that space, Gibbs said. 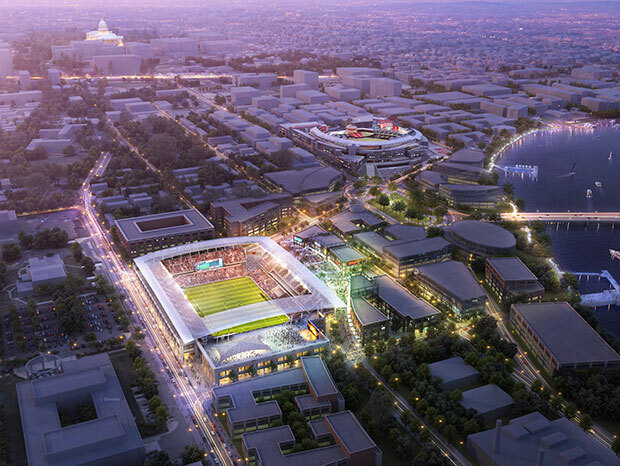 A Washington Post poll states that 59 percent of respondents are against using city funds to help build a stadium for DC United in Buzzard Point. 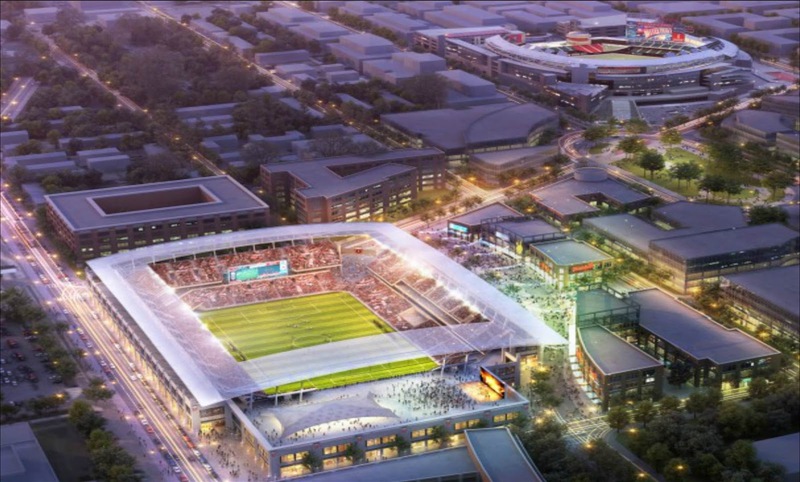 Under the terms of the agreement, the city would spend up to $150 million to acquire land, do remediation, and make infrastructure improvements to the stadium site at 2nd and R streets. The team would then spend $150 to build the stadium. The same poll revealed that 71 percent of respondents stated that the $650 million spent on a publicly-financed stadium for the Nationals was a good investment for the city. A Housing Complex article's spin on the poll suggests that the poll question wasn't worded properly and that the stadium proposal is more popular than the poll results. Update: City Administrator Allen Lew responds to the Post survey. The Neighbors of the Southwest Duck Pond will be having a Chinese New Year fundraiser on Thursday, January 30 at Jenny's Asian Fusion restaurant starting at 7pm. Tickets for the fundraiser are available online. 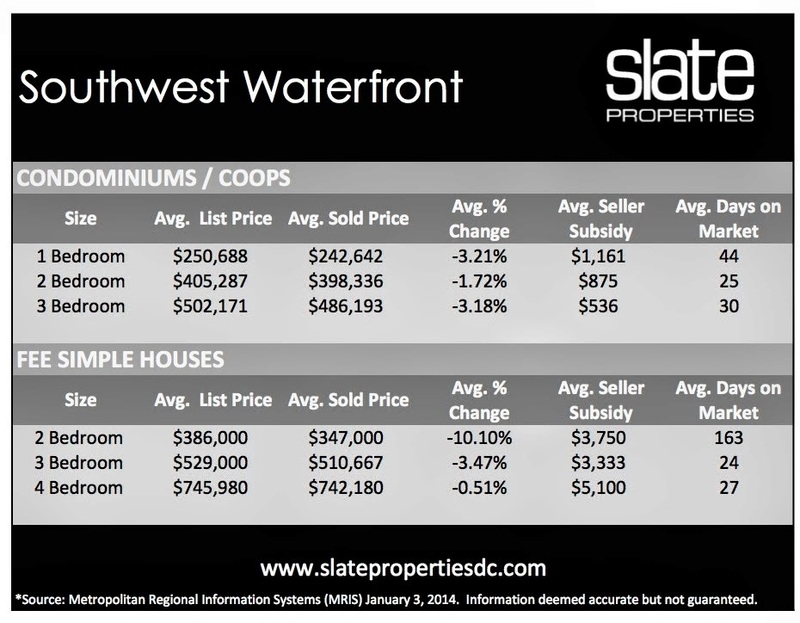 Below is a summary of pricing and average days on the market for condos and rowhomes in the 20024 zip code in 2013, courtesy of Slate Properties. Yogis, rejoice! A new yoga studio is on its way to the ground floor of Carrollsburg, A Condominium at 300 M Street. M Street Yoga will have two yoga studios that will be able to accommodate up to 35 mats. Southwest resident Pamela Fierst and her fiancée purchased a ground floor unit at Carrollsburg in 2013 that was originally used as storage, but was converted to a residential unit. Fierst was surprised that there were no yoga studios in Southwest aside from those in fitness centers, Randall, and 7th Street Landing in the summer, so she is excited to open the first studio in the neighborhood. Fierst has been practicing yoga for over 10 years and has been teaching for about two years. There is an organic dry cleaners already in Carrollsburg, but a zoning change is needed to convert the condo unit to a yoga studio. Fierst hopes to obtain the necessary zoning change from residential to retail in order to move forward with opening the studio. The condominium board and the ANC have supported the zoning change and a hearing is scheduled with the Board of Zoning Adjustment on February 4. Renovations are scheduled to begin in either late January or early February and the studio should be open sometime in March. Fierst has been holding donation classes in the space three times a week until the zoning change is approved. So far, between $300 and $350 has been raised for Wounded Warriors. Since her fiancée is an army veteran and she works at the National War College in Fort McNair, the charity is near and dear to her heart. Donation classes are held on Tuesdays at 6pm, Thursdays at 7pm, and Saturdays at 10:30am. The larger yoga studio space faces a courtyard and has floor-to-ceiling windows, making it a serene location to practice yoga. M Street Yoga will operate seven days a week and at first will be offering evening and weekend classes. Eventually, morning classes will be offered. Prices have not been determined yet and a website is under development. For more information, contact M Street Yoga. 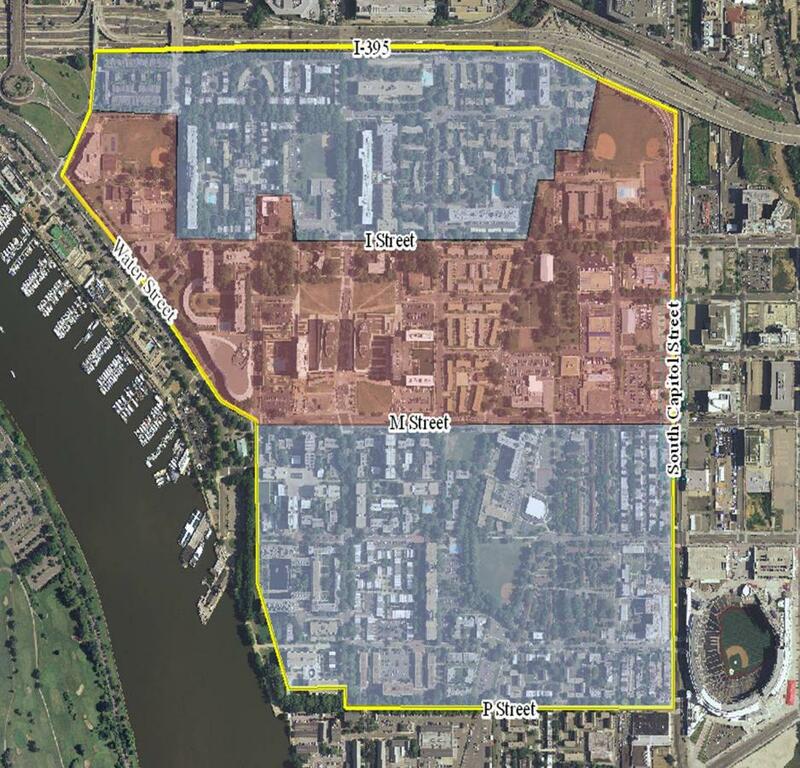 Even though Southwest is not currently in a historic district, several buildings have been registered with the Historic Preservation Review Board, including Potomac Place, Arena Stage, Waterfront Tower, and others, while Randall Recreation Center and Capitol Park Tower are pending designation. Southwest is unique in the city for its block structure, which is much longer than the typical block length in the city, a result of urban renewal. Several of the streets in Southwest have dead-ends due to the reconfiguration of the neighborhood during urban renewal. Only a few streets connect through the neighborhood to other areas, such as Maine Avenue/M Street (which carries between 17,800 and 26,400 cars per day), I Street (a section of I Street, SE in Near SE is currently under construction), South Capitol Street, and 4th Street. Vehicular access may not be ideal, but the entire planning area is within a 10-minute walk from a Metro station and 20 bus lines serve the area. Capital Bikeshare access is spotty, though - only one station is located in the planning area. Most of the publicly owned land is on the east side of Southwest and that is where there is the highest potential for change. 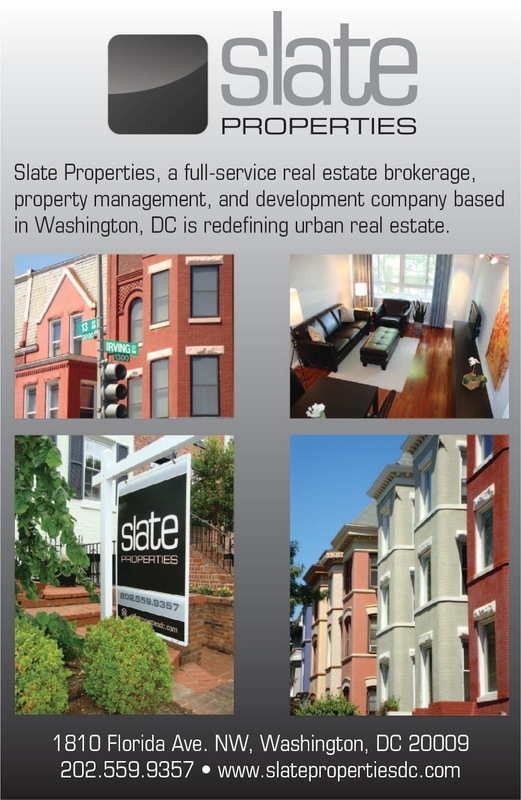 These sites include Greenleaf, MPD first district headquarters at M Street and Delaware Avenue, the DMV just to the east, the FEMS Maintenance facility, as well as the inspection station and the privately owned lots along South Capitol Street. The Southwest Neighborhood Plan will not make recommendations for changes to existing, established residential areas, but will make suggestions to improve amenities such as parks and open space. Greenleaf Extension was built in 1959. The other Bike and Roll location in DC is located at Union Station. ANC 6D Commissioner Ed Kaminski resigned from his post representing SMD 6D02 effective January 1, which leaves a vacancy on the ANC. 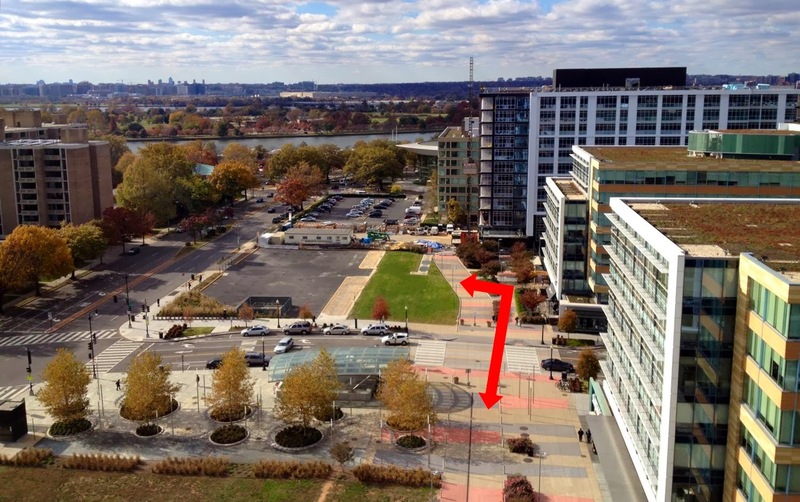 This particular SMD is the only one that covers both sides of South Capitol Street. In Southwest, the SMD includes Capitol Park IV, Capitol Park Plaza, and Capitol Park Twin Towers. Residents of these communities as well as those in Near SE have a chance to run for the seat. In order to do so, candidates will need to visit the Board of Elections and file the necessary paperwork, then obtain 25 signatures over the next three weeks (which began last Monday). After a one week protest period where the signatures are verified, those who meet the requirements will be able to run for the seat. There will be a special election at the March 10 ANC meeting where residents of SMD 6D02 will be able to vote for a new ANC commissioner. If only one person qualifies for the position, they will win the seat without the need for an election. The newly elected commissioner will serve the remainder of Kaminski's term, which ends this year. This is the third vacancy on the ANC since October. SMD 6D03 Commissioner Ron McBee passed away and SMD 6D01 Commissioner Donna Hopkins resigned shortly thereafter. Replacing them on the ANC are Rachel Reilly Carroll and Sam Marrero, respectively. 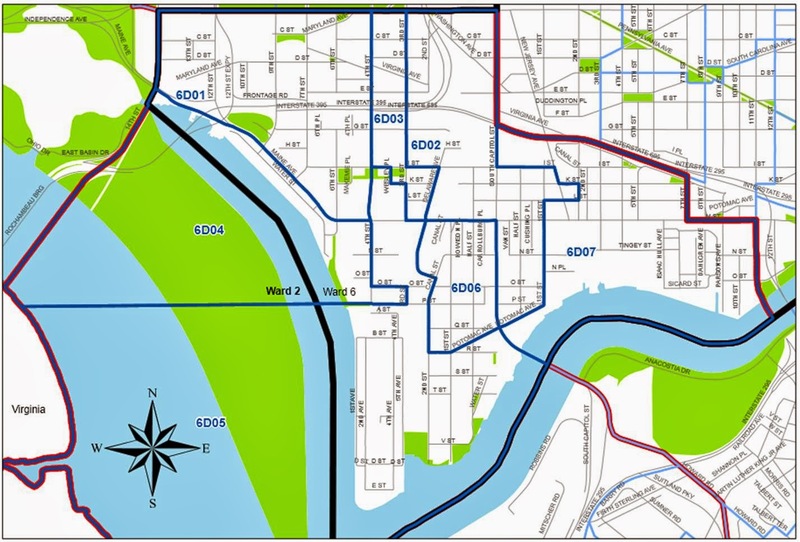 The next general election will be in November when all ANC 6D seats will be up for grabs. Two members were told that United would owe no sales tax on any commercial activity on the stadium footprint — including tickets, concessions and even businesses like restaurants that might locate adjacent to the stadium — throughout the team’s 30-year lease. Property taxes would also be abated on a rolling schedule, according to two council members. For the first five years of the 30-year lease, the team would pay no property tax. For each subsequent five-year period, the team would pay an additional 25 percent of the tax normally due, with 100 percent owed for the last 10 years of the lease. The city wants the team to build a stadium in time for the 2016 season at 2nd and R streets, adjacent to the gates of Fort McNair. The DC Council was supposed to receive legislation about the deal back in November according to the term sheet signed by the city and the team in July, but that date has slipped. The private drive lane that runs in front of Safeway at Waterfront Station officially opened yesterday. The roadway serves Sky House East, which opened for leasing earlier this month. It is a one-way road that starts on M Street, runs north to the Sky House East garage entrance, then curves west past Safeway and meets 4th Street. On the other side of 4th Street, the roadway continues westbound to Sky House West and then loops south back to M Street. The western stretch of the road will remain closed until the other apartment tower is complete later this year. Caution signs will be put up near the Metro entrance to alert pedestrians about the opening of the roadway. The road will run west-east from 4th Street to M Street. Progress is being made on the new glass atrium under construction in the plaza of L'Enfant Plaza. 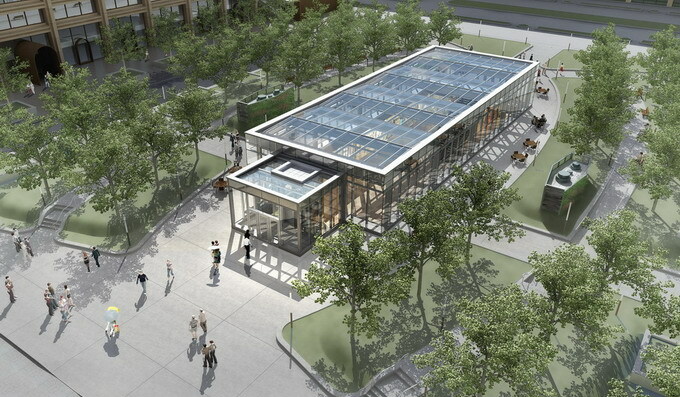 Phase two of the renovations to L'Enfant Plaza's retail promenade, including the atrium, is scheduled to open later this year. The atrium will serve as the entrance to the retail area from the street and replaces the glass pyramid that used to be in the plaza. It will also allow more light to enter the retail promenade, which is partially below-grade. Since 2013 has come to a close, let’s take a brief look back at the major events that shaped the year in Southwest and what is in store for 2014. 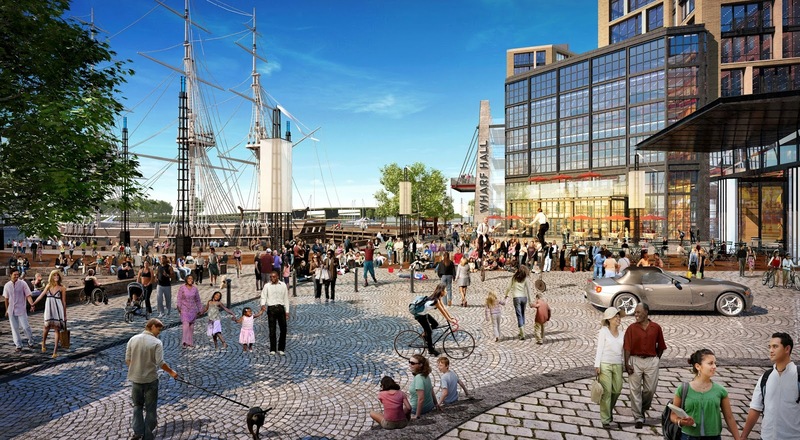 Arguably the largest development project in Southwest took a major step forward in 2013 when the Zoning Commission approved the Stage 2 Planned Unit Development (PUD) application for phase one of the Wharf. While ground breaking was supposed to occur by the end of 2013, the timeline has slipped to 2014 since a financing agreement has not been made public yet. Meanwhile, the houseboats at the Gangplank Marina were moved this fall to make way for construction and businesses along the waterfront were given notice to vacate within five months. Leasing began in April at Camden South Capitol, the first new rental apartment building to open in Southwest in decades. So far, more than half of the units at the 276-unit building have been leased; however, the ground floor retail space at South Capitol and O streets is still vacant. Camden hopes to attract a restaurant to the space, located across the street from Nationals Park. In addition, leasing was supposed to begin on December 2 at the East tower of Sky House, the adaptive reuse of the former EPA towers at Waterfront Station, but it was delayed by a month to January 2. 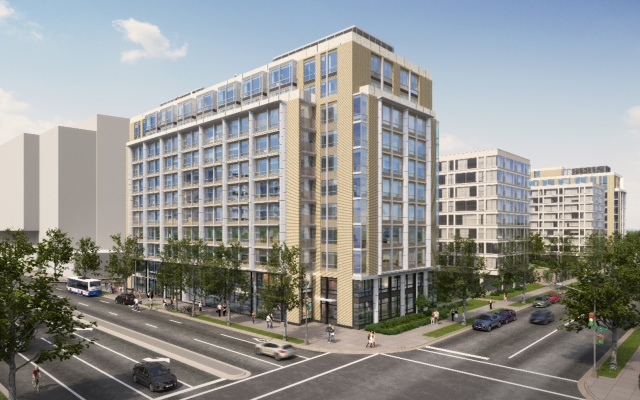 There are a total of 266 units at the East tower, located at 1150 4th Street, with 20% set aside as affordable housing for residents earning up to 50% of Area Median Income. 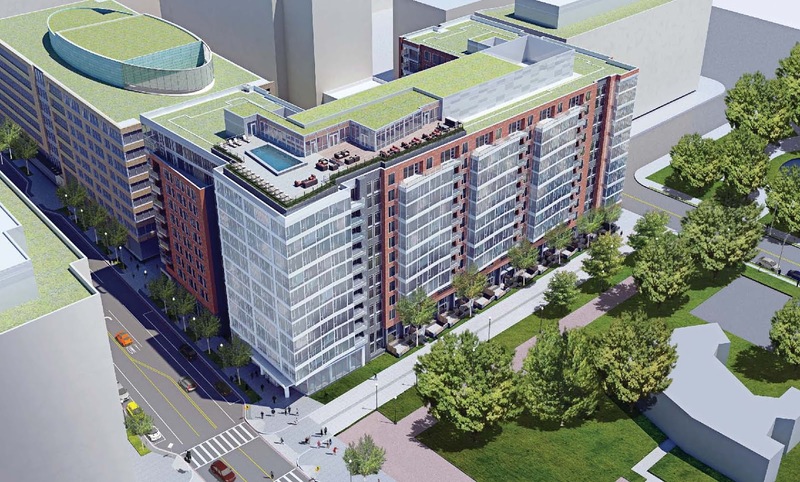 A second 264-unit tower will open in spring 2014 at 1151 4th Street. Aside from Sky House, other activity is underway at Waterfront Station. The last retailer to open along 4th Street was Z-Burger back in 2012. Since then, it was learned in May that the two vacant storefronts on the northern end of 1101 4th Street have been leased by restaurateur Atul Bhola to open Masala Art, an Indian restaurant. This would be the second Masala Art restaurant – the other restaurant is located in Tenleytown. Building permits are stuck on the windows and visible work on the tenant build-out began in November. It is rumored that the restaurant will open in June 2014. This leaves two vacant retail spaces at Waterfront Station – one each at 1100 and 1101 4th Street. Meanwhile, planning is underway for a residential building by Forest City and Vornado on the vacant northwest parcel next to the future Masala Art. A PUD was filed in late 2012 and the project went through the zoning approval process in 2013, with PUD approval received in September. The 360-unit building will have all market-rate units and approximately 5,300 square feet of ground floor retail space. There will be 12 two-level townhouse units with private entrances on Makemie Place and along a private drive to be built to the north of the project. Construction may begin sometime in 2014. In June, HPRB designated both multifamily buildings at Town Center East and the grounds as historic. 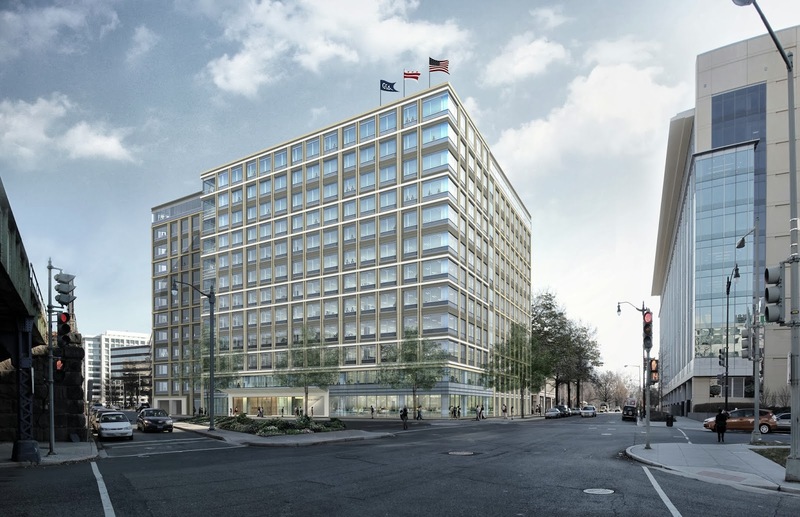 The buildings, located on 3rd Street between K Street and M Street, were designed by I.M. Pei and built in 1960-61. The owners at Waterfront Tower, along with the Southwest Neighborhood Assembly, applied for historic designation in response to a PUD submitted by The Bernstein Companies to build two large multifamily buildings on the parking lots of the existing Pei buildings and a smaller building on the courtyard separating the two existing buildings. After the HPRB designation, the Bernstein Companies altered their plans and among several things, removed a small building that was to be built along 3rd Street. After reviewing the changes, the ANC reversed their prior disapproval with the PUD and offered conditional support in September. 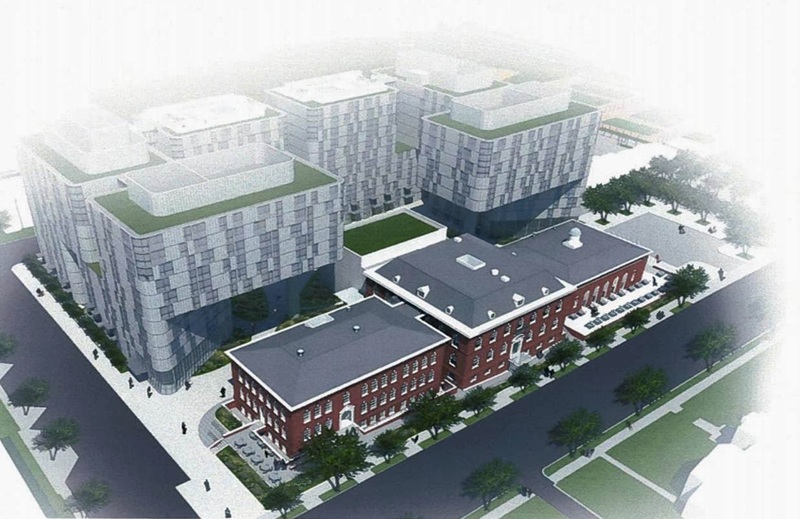 A contentious proposal to build a charter high school for KIPP DC kept the future of the Randall Recreation Center site at South Capitol and I streets in limbo. Back in the fall of 2012, the District government announced that Randall would be one of 32 playgrounds across the city that it would improve during the 2013 fiscal year. In addition, the plaza area facing I Street would be upgraded with a skate park and fountains. The project was put on hold while the KIPP proposal was being vetted, but ultimately, the city decided against the KIPP proposal. It’s unknown at this point when the playground and plaza area will be improved, but presumably it will happen sometime in 2014. Meanwhile, some limited programming was implemented over the summer at the recreation center, which has been underfunded and underutilized for years. More robust programming is now underway, which started this week. Next door to the pool and recreation center, Telesis/Rubell have been advancing their plans for the Randall Junior High School site. According to the revised PUD, a non-profit contemporary art museum from the collection of the Rubell family will be located in the original 1906 center building - the first floor of the museum will be used as a community cultural space that is open to the public, with an art gallery featuring local artists, 100-seat auditorium, library, bookstore, café, and meeting space. The upper two levels will house the museum exhibits. 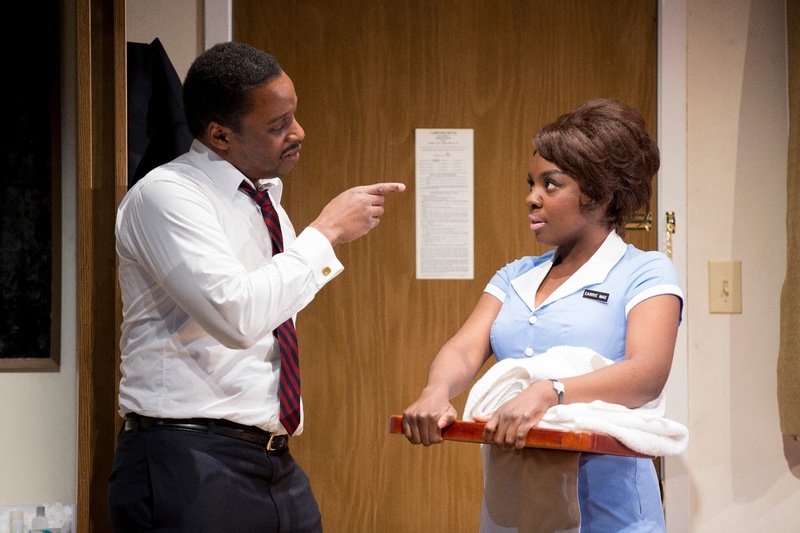 Other arts-related uses will be located in the west wing – perhaps a culinary incubator. A destination restaurant with outdoor seating will be in the east wing (both wings were built in 1927). Behind the center building, a new three-story addition will house additional exhibition space for the art museum. Two 12-story towers with 550 residential units will wrap behind the historic buildings and courtyard. The courtyard will be open to the public and six commercial spaces may be created on the ground level facing the courtyard containing artist studios. Twenty percent of the residential units will be set aside as affordable to households earning up to 80% of AMI. 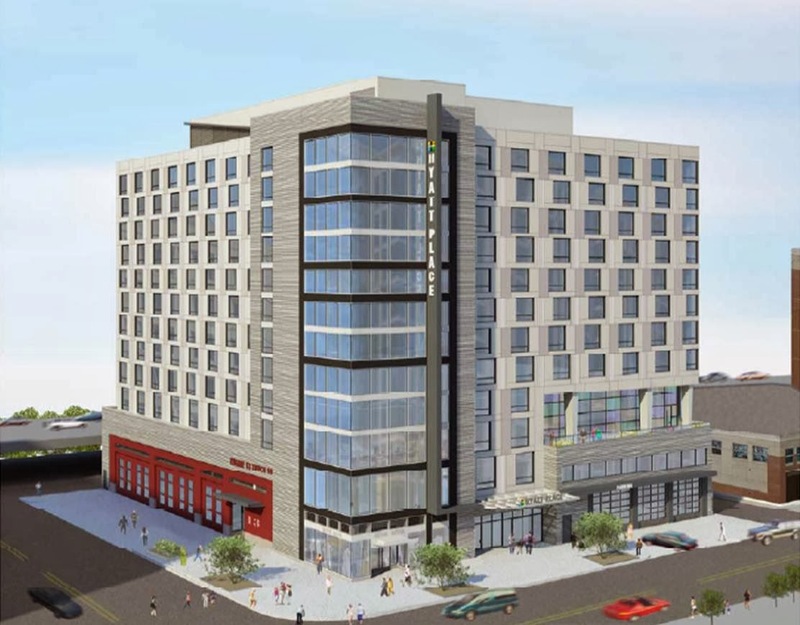 The ANC gave qualified support for the PUD and the Historic Preservation Review Board approved the project in November, while the Zoning Commission generally showed support for the project at the hearing in December. The PUD is likely to receive approval during the first half of 2014 with construction on the first phase (including the historic buildings and at least one of the residential buildings) either in late 2014 or 2015.